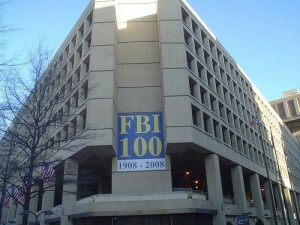 The search for a future FBI headquarters should soon be narrowed down to a short list, the Washington Post reports. Communities and politicians in Virginia and Maryland are watching closely as the FBI looks to build the largest new federal campus in more than 50 years. Once the list is narrowed down to finalists, the developers will be invited to submit proposals to build the headquarters, the New York Times wrote. 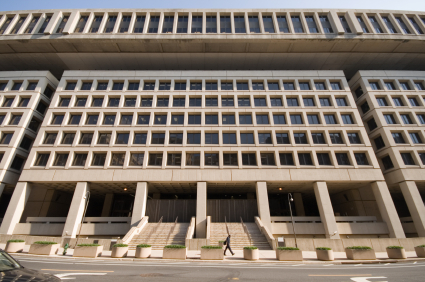 The FBI is looking to build 2.1 million-square-foot campus that must be within 2.5 miles of the Beltway and two miles of a Metro station. The federal government expects to choose the final location late next year. Posted: July 11th, 2014 under News Story. If the primary owner of the Washington Nationals gets his way, the Landover Mall will become the new site of the FBI’s headquarters. The Washington Post reports that Lerner Enterprises, a development firm run by the Nationals owner, has submitted the 88-acre site for consideration as the bureau’s new headquarters. Sears is the only remaining tenant in the mall, and Sears is on its way out. 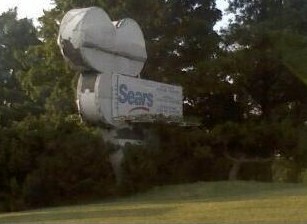 “With Sears closed the confusion that existed as to the availability of the entire site should be eliminated. We would hope to attract a major user or users to the site possibly the FBI. In that regard we have submitted the site to the GSA,” Alan H. Gottlieb, chief operating officer of Lerner Enterprises, told the Post in an e-mail. Posted: January 9th, 2014 under News Story. Posted: September 12th, 2013 under FBI, News Story. 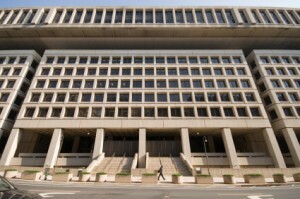 Moving FBI Headquarters to Suburbs May Have Net Gain for Washington D.C.
Washington D.C. has a lot to lose – and gain – if the FBI moves its longtime headquarters to the suburbs. If the bureau moves from Pennsylvania Avenue NW, 4,800 jobs would go with it, the Washington Post reports. But redevelopment of the site could generate an additional $28 million, the Post reported, citing a study commissioned by the city to determine the pros and cons of a move. Posted: July 2nd, 2013 under FBI, News Story. Posted: March 8th, 2013 under FBI, News Story. Posted: March 7th, 2013 under FBI, News Story. Posted: March 4th, 2013 under FBI, News Story. Posted: February 22nd, 2013 under FBI, News Story.